Okay. Ive found the one. The one who you completely love and can't live without. 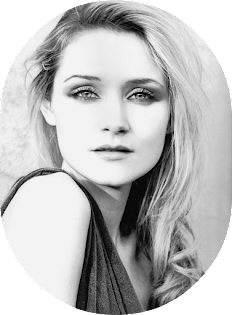 Yep, good old Max Factor have introduced me to their Max Factor Lasting Performance Foundation. This was purchased on a total whim as I do love their Colour Adapt foundation, but I had never batted a mascara-d eyelash at the Lasting Performance before. I was in desperate need of a full coverage foundation and my past few buys just haven't quite cut it so back to my trusty Max Factor and voila I found my foundation. This has been around for years and it's not dressed up in shiny packaging claiming to be the new miracle foundation, but simply states to be full coverage foundation with lasting performance, oh and Max Factors number one seller. Not sure what they are basing that on but hey ho. The packaging is very simple and does look slightly cheap in my opinion, and has a nozzle tip for a dispenser. 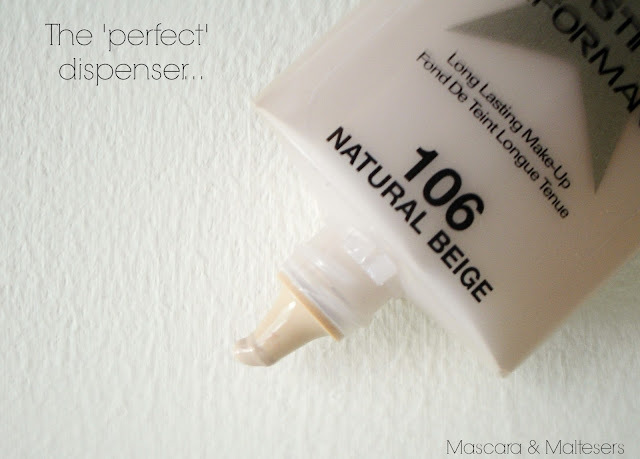 I love these kind of tip because I can control the amount of the foundation and, it is hygienic. 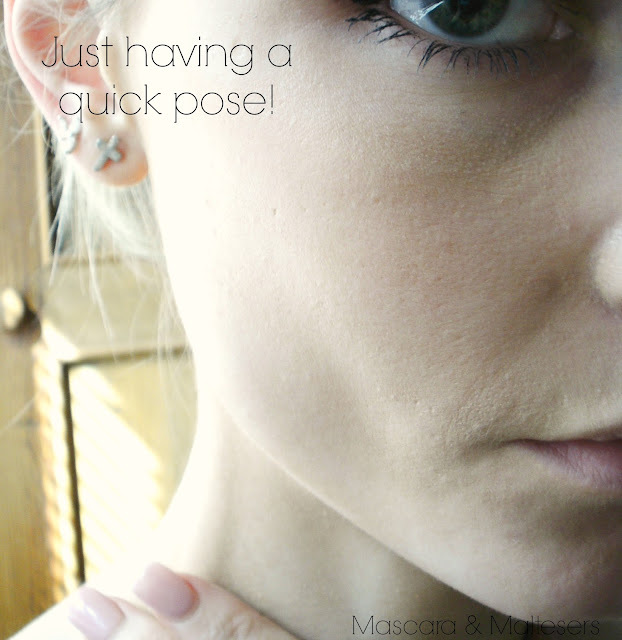 The consistency of the foundation is slightly thick; it wont run off your hand but it blends in incredibly easily and is very creamy in texture. It offers a medium to full coverage and covers all the annoying spots I've decided to get now I'm out of my teens. Surprisingly this doesn't have a cakey feel, as you can hopefully see in the picture below, or look about it and doesn't feel at all heavy on my skin. I absolutely love the finish, matte but with a hint of dewy-ness and I can honestly say I am in love with this foundation. It even lived up to it's name and lasted me around 6 hours before I had to even consider any touch up. Plus, for only £9.99? Bargain for such a fantastic product that you wouldn't think at all was purchased from good old Boots. I've read a couple of reviews on this and several have compared it to Cliniques Everlasting Foundation so just goes to show you don't need to buy high end products to achieve that look! This is on par with my all time favourite Benefit Hello Flawless Oxygen Wow foundation too, and as you can tell I can't sing its praises enough. 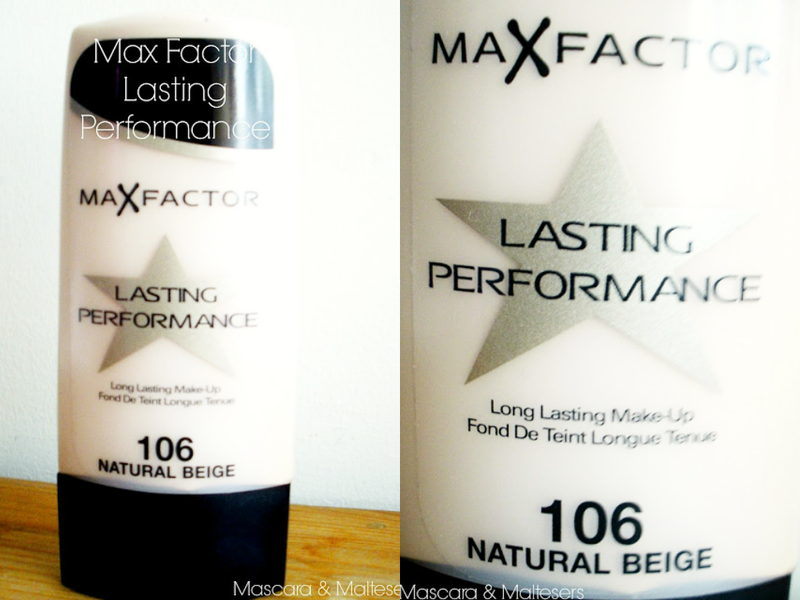 Have you tried Max Factor Lasting Performance Foundation?